Whether you shop online (and we hope you do) or visit your local garden center, finding the perfect garden planter, plant materials, soil etc to create lovely flowerpots to decorate your home or garden area is easy to do. 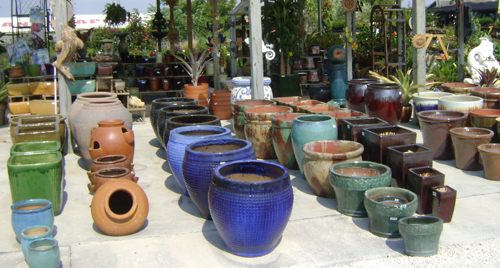 Lot's of choices, colors, textures that when put together can make a look that adds color, beauty and life to your garden decor. 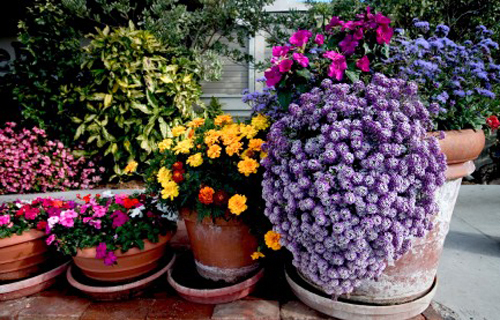 However, keeping those potted containers looking nice all summer long when the heat and windy weather can beat them up pretty good, is another thing. 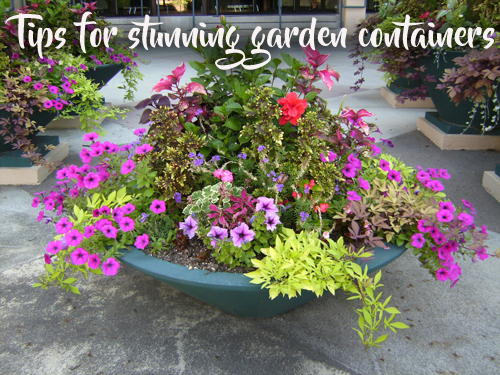 We want to give you some tips that may help you over come the garden planter blues. Start by selecting the perfect container. Make sure the size is correct for the plants that you are putting in the pot. 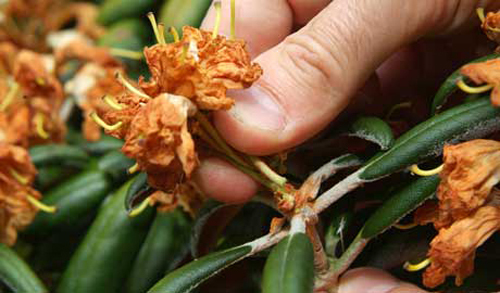 Too small and roots are crowded, too large and soil stays too moist and you have fungal issues. Make sure the pot has drainage. No plants like to sit in standing water. Next get a plan on what you are going to plant. Don't go to the local nursery and buy impulsivily. Choose plants that will thrive in your area and add some foliage to pots to fill them out when you are planting flowers. Try to buy a plant to place in the center of the pot for height. This really adds a focal point for deciding what to plant around it. 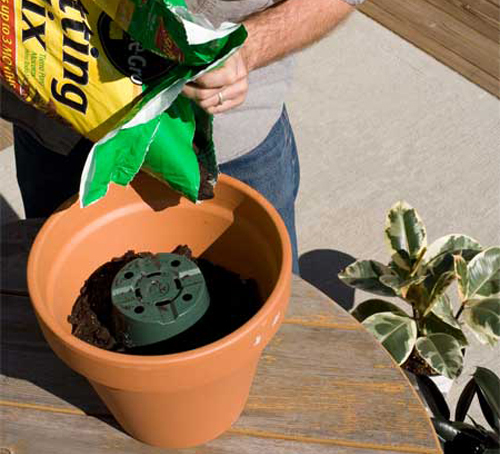 Get good potting soil. Don't ever use the ground soil and don't use old soil that has been sitting in the garage for a few years. If you choose to reuse soil from a spent container make sure there are no spores, fungus or mites and other unfriendlies can live in long after the plants are gone. 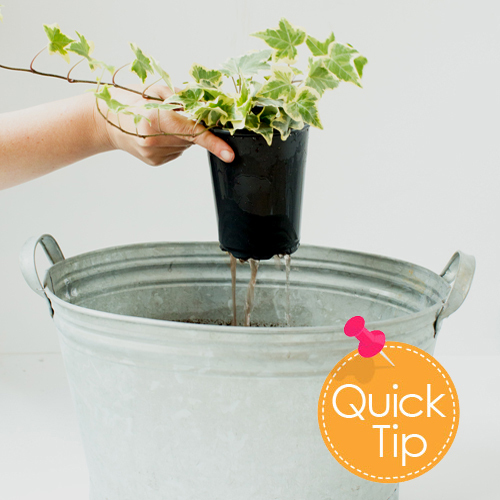 Presoak the plastic nursery pot in a tub of water to loosen and relax the roots before knocking the plant out of the pot. Just fill a shallow basin, or wheelbarrow with water, sit the pots in so the drain holes are covered and let them soak for 30 mins. 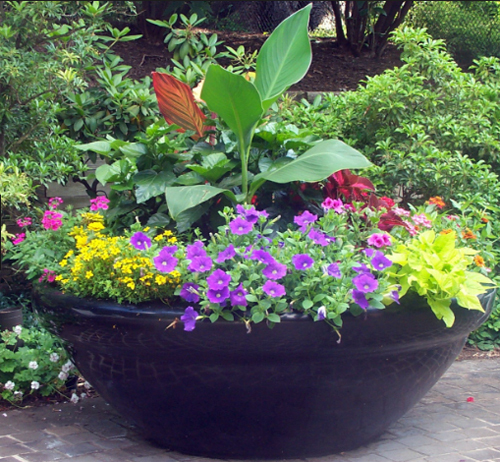 Then knock the plant out and repot in your decorative garden container. The roots will be pliable and soft and they will thank you for this, presoak. The after the pot is complete make sure to give everything one last drink. Don't underestimate how important it is to keep up the grooming of the finished planter. Deadhead spent blooms, cut back straggly stems and replace anything that just isn't doing well. 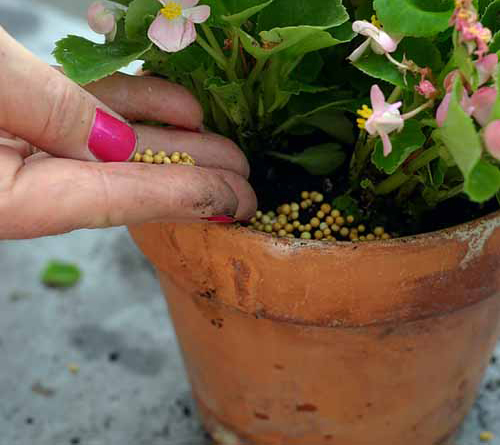 This little weekly step makes a big different in how your planters look all season long. And finally, fertilize. Purchase a slow release fertilizer or better yet every two weeks water with a liquid fertilizer to keep everything looking it's best all season. Every time you water a pot till there is water coming out the drain hole you loose valuable nutrients. These need to be replaced.